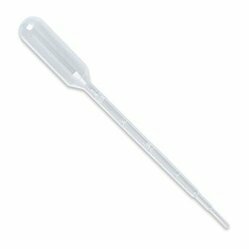 Pasteur Pipette, Pack of 100 Pcs. - These unbreakable, non-toxic all -in one pipettes eliminate the hazard of broken glass and exposure to infectious materials. - Molded from translucent low density polyethylene which are inert to biological fluids and most acids. - Can be sealed and refrigerated. By keeping track with the latest fashion trends, we are bringing forward an attractive range of Pasteur Pipette. 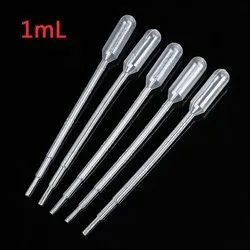 Radical Pasteur Pipettes are made of PE-LED and are perfect products for transfer of fluid in a quick and safe way. - Pastuer Pipettes are made out of high quality PE to ensure low affinity to the samples. - The Pastuer Pipettes are non breakable and are a good substitute for the glass pipettes wherever breakages are not acceptable. - Molded from translucent lowdensity polyethylene which are inert to biological fluids and most acids. - The low-affinity low binding surface reduces the loss of cells and valuable proteins. Pipette is a laboratory instrument use to measeure the chemical requirment.